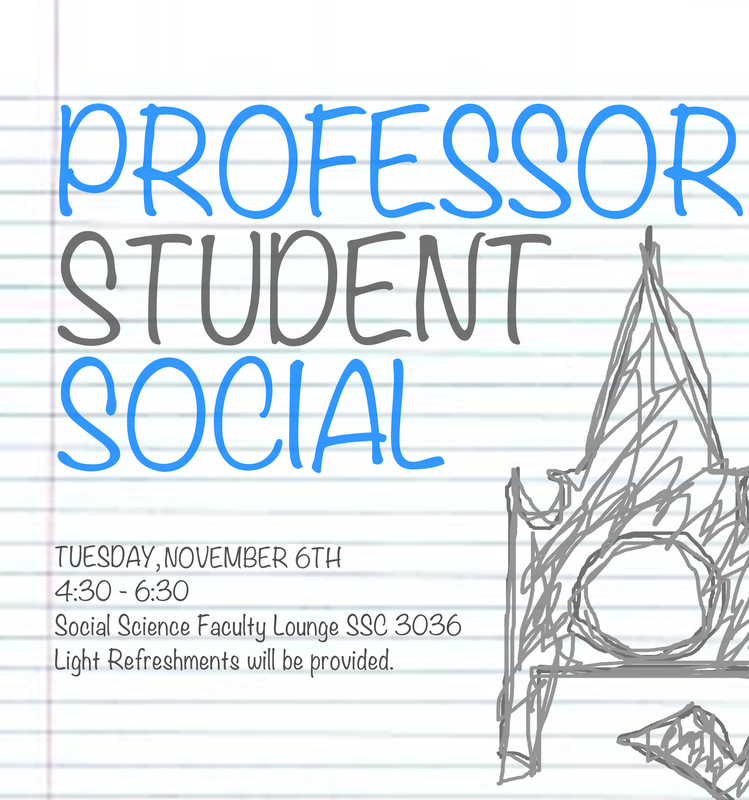 The PSA Annual Prof-Student Social will be taking place on November 6th, 2012 from 4:30-6:30 in Social Science Faculty Lounge, Room 3036. Come meet your professors in this low key setting, enjoy some free food and refreshments, and meet other students in Political Science! This event is open to students in a political science course and PSA Memberships will also be for sale. Hope to see you there!